Optical Resonators provides a detailed discussion of the properties of optical resonators for lasers from basic theory to recent research. In addition to describing the fundamental theories of resonators such as geometrical optics, diffraction, and polarisation the characteristics of all important resonator schemes and their calculation are presented. Experimental examples, practical problems and a collection of measurement techniques support the comprehensive treatment of the subject. 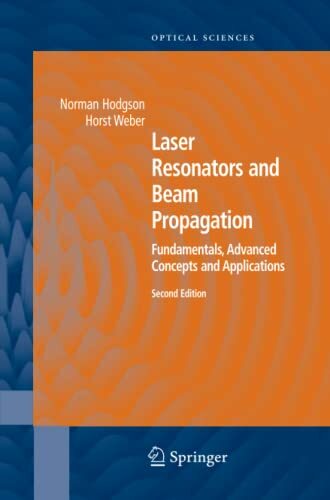 Optical Resonators is the only book currently available that provides a comprehensive overview of the the subject. Combined with the structure of the text and the autonomous nature of the chapters this work will be as suitable for those new to the field as it will be invaluable to specialists conducting research. This second edition has been enlarged by new sections on Q-switching and resonators with internal phase/amplitude control.